DIY Halloween Costumes 2017 - C.R.A.F.T. 2011: Andy moved to Florida and I went to Marfa, TX with my friend, Rachelle. We attended multiple Halloween events with the kids this year, and an adult only par-tay on Saturday! 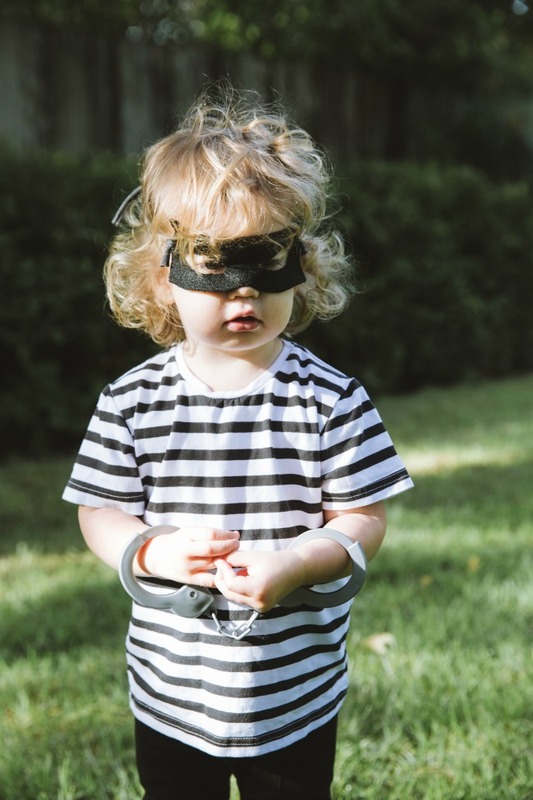 There is nothing cuter than babies and kids in costumes, bring on the Halloween kid events! Plus let’s not forget the candy. 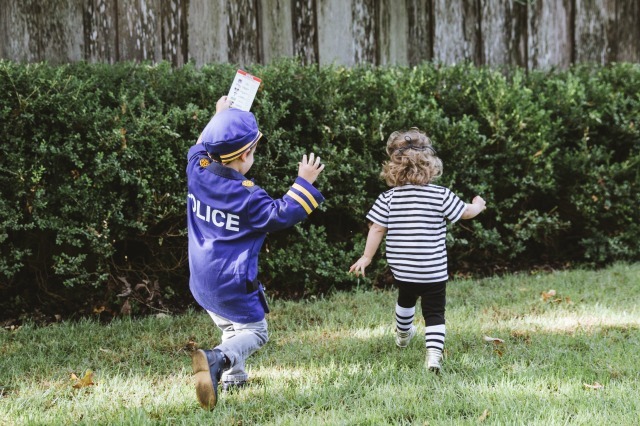 My original Halloween idea for the kids was a police man and a bank robber. 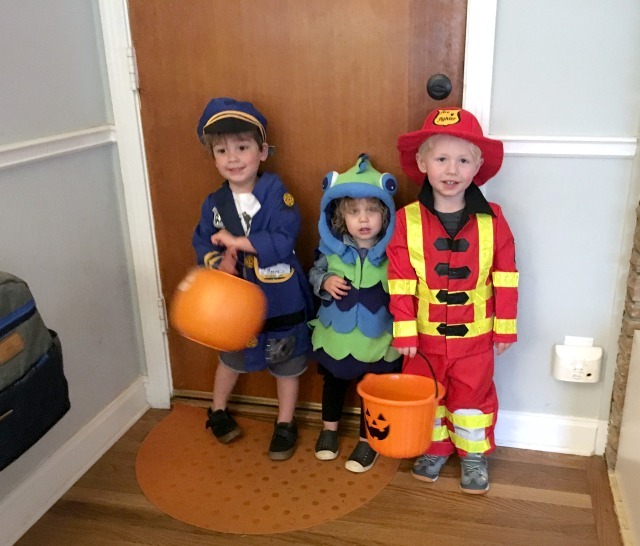 Maxwell actually wore the police costume last year in our last minute family Village People costume, and he insisted on wearing it again. So, I thought adding a bank robber to the mix would be perfect. I love June and January clothes and got Mila a black and white striped tee and socks to complete her bank robber look. I also made her a black face mask. She loved the mask. Not. For the kids fall fest at school they were encouraged to dress up and someone or something on a farm. (Last year I made Maxwell a tractor out of a diaper box for this event.) Maxwell wasn’t feeling it, but oh my cuteness look at Mila. 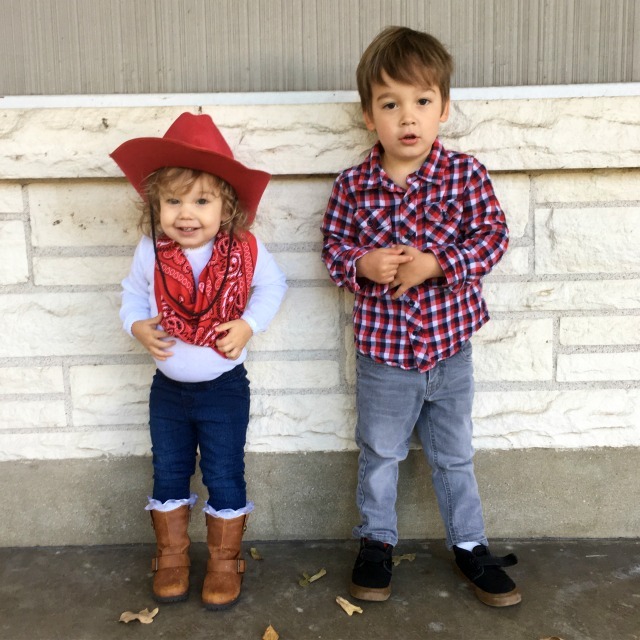 We went to our neighborhoods annual pumpkin decorating party at the park where Mila debuted her fish costume and Maxwell was in his own words “Maxwell”. Maxwell did thoroughly enjoy decorating his pumpkin, which made me love this event even more. 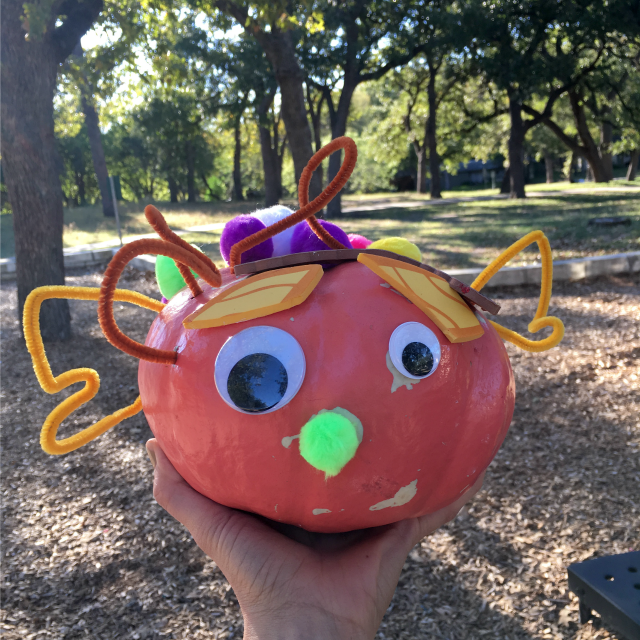 “Piggie” pumpkin got turned into a double sided crazy faced pumpkin. 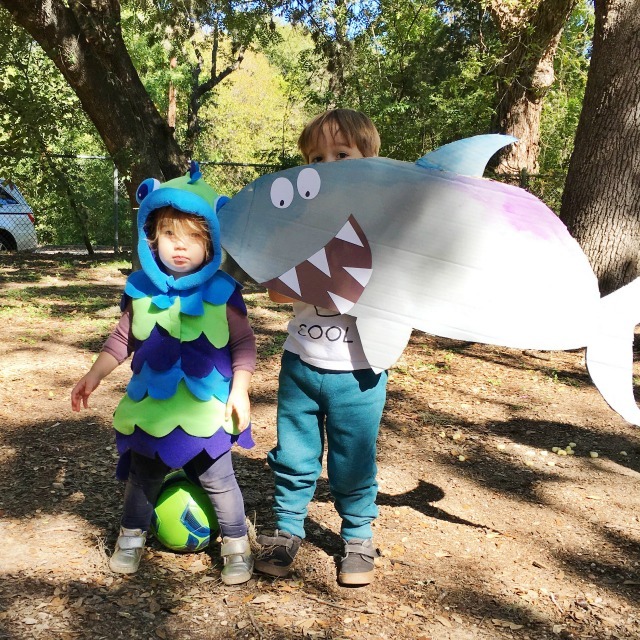 Our friends hosted their second annual Halloween park party, and the kids went as a fish and shark! The shark is on old prop I made for a project I did with the book Nugget and Fang, and Maxwell loved the idea of chasing (and eating) Mila. There also happened to be an octopus at the park party and apparently sharks like to eat octopus too. Maxwell also loved that he could easily ditch the shark and freely play soccer, ha! For the big night, I was planning on doing the bank robber and police man again. But, the cold rainy evening made decide to throw on the cozy fish last minute. For the record, we made Max put on jeans, ha! 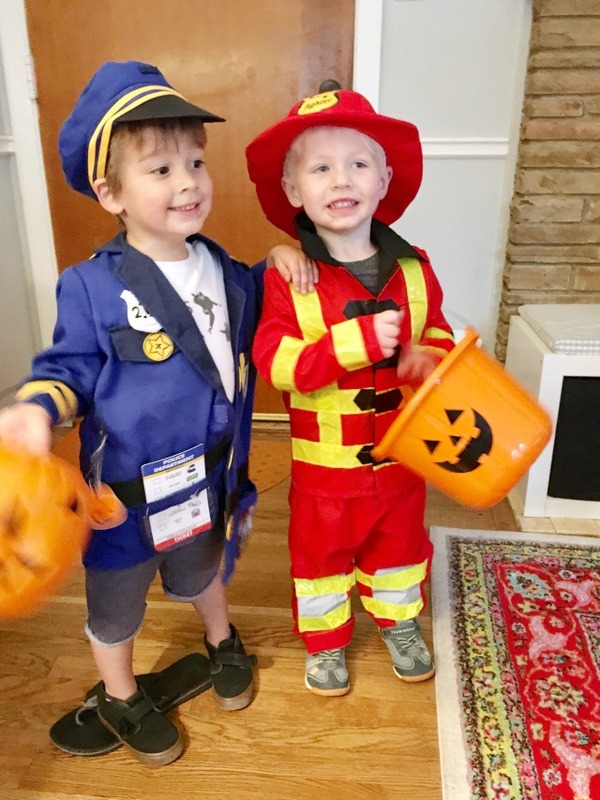 And I had no idea that out friend’s kiddo was going to be a firefighter, but how cute is our emergency response team?! 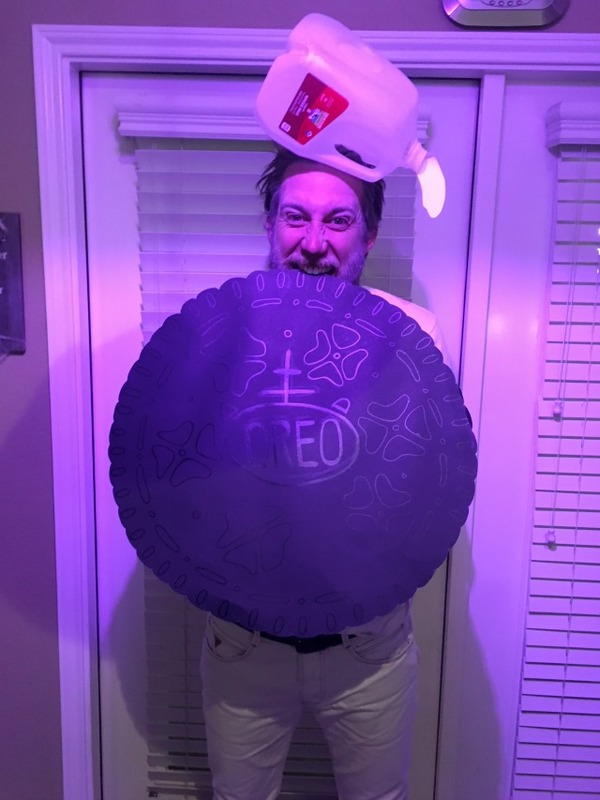 And I have to share Andy and I’s DIY double stuffed Oreo couples costume from our adult only fiesta! For the record, it looks awesome in black light!